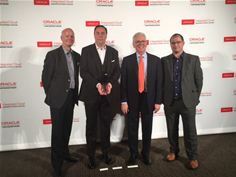 At Oracle OpenWorld 2016, Inoapps (www.inoapps.com) has won both the EMEA and Global Oracle Excellence Awards for Specialized Partner of the Year, in SaaS Cloud Transformation. “We are absolutely delighted to be awarded both EMEA and Global Oracle Excellence Award for Specialized Partner of the Year in SaaS Cloud Transformation. Inoapps was presented the Awards for demonstrating outstanding and innovative solutions based on Oracle products, including: Financials, HCM, Procurement and Projects Cloud Applications.